Dear friends! It is with great anticipation and enthusiasm that we present to you our new season of outstanding concerts performed by sensational musicians from around the world. 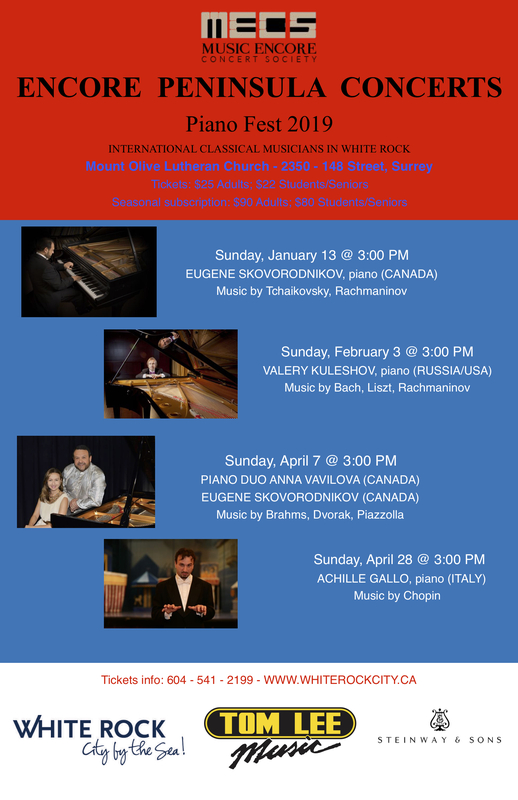 Our Winter/Spring 2019 Encore Peninsula Concerts with feature artists from Canada, USA, Russia, Italy and Macedonia. We are committed to offering concerts at an affordable price for all to enjoy. splendid music and superb performances!